Up until five years ago, my parents had an apple tree on the farm. The fruit wasn’t great, but it was good enough for my mom to make a few large batches of applesauce each fall. It was my job, on a weekend home from college, to pick the apples before they all fell off the tree and rotted in the grass. As you can imagine, I started with the low-hanging fruit before I went to get the ladder to attempt the perilous picking of the apples at the top of the 20-foot tree. Frankly, I would have preferred to leave those apples up there, because they were hardly worth the effort. There are low-hanging fruit opportunities in every area of life. Low-hanging fruit is exactly what it sounds like. It’s the ripe, delicious, easy-to-access opportunity that requires little effort to harvest. These easy opportunities often exist right in front of our eyes. For example, your kids probably have a favorite movie that will keep them out of your hair when you have important work to do at home. Then there’s the restaurant down the street that cooks a great take-out meal you can pick up when there’s no time to make dinner. You can also find low-hanging fruit opportunities in your business and at your job, as well. For the beginning entrepreneur, they are vital components of getting the “snowball of success” rolling down the hill and gathering the essential momentum you need to stay motivated during tough times. To take the fruit that is within easy reach, which requires no extra resources to harvest, means that you can achieve some success quickly, and that will give you the confidence and capital to take further action. Your next target could be that fruit just out of your immediate reach, and that will require an investment of time and resources to harvest. But it shouldn’t take much – remember, these opportunities are just a little more difficult than the low-hanging fruit. After investing in your resources, you can reach some of the higher fruit and gradually work your way around the tree, gathering the fruit. The cost of harvesting those higher up fruits is going to be higher and, if you sell them for the same price as your first harvest, the margin will be lower. It is the same as you progress from these middle apples to those apples at the top of the tree. They may be bigger and look better, but they will cost you more and may not generate incremental revenues and profits to justify the expenditure, time and effort to harvest them. There is danger here. By the time you will have gotten to the uppermost fruit, they might have ‘withered on the vine’. So, how and when you harvest each market sector needs to be part of the overall strategy. It is the same in business; you have to make decisions about short-term gains (low-hanging fruit) versus long-term sustainability. Sometimes, the cost to develop a distribution channel and the returns required to gain the higher priced customer may not be worth the effort. However, quick short-term gains may help you generate the resources you need to go for those bigger, higher up apples. At work, the payoff from these quick wins could simply be the confidence and momentum to go for the bigger, higher apples. Too many business owners skip over these ‘acres of diamonds in their backyard’ and go looking for much harder prey. For example, many entrepreneurs invest in expensive—and hard to track—brand advertising for their new business when it would be much more effective—and cheaper—to invest resources in getting new customers through referrals from current customers. Going for the low-hanging fruit—those customers and sales that are easy to harvest and convert—will allow a business to make quick gains. The profit banked from these easier acquisitions will allow you to invest time and money into developing a more expensive, long-term system of client acquisition, such as Facebook advertising or Google Ad Words. It is here that the quick wins can start the ball rolling, as success can breed success. Quick wins have to be clearly defined and not simply a ‘knee-jerk’ reaction to an impatient stakeholder or an unsatisfied customer. Going for quick wins isn’t a philosophy that can, understandably, be sustained long-term. It may be that the business has to set goals that reflect the whole gamut of sales achievements: beginning with low-hanging fruit and early success through to developing that long-term corporate account which will form the basis of sustained margins. It may be apposite to offer a word of warning to those who see the opportunity of gathering that low-hanging fruit as the most attractive option in business. Developing a customer base, even for one-off purchases, takes time, energy and investment. 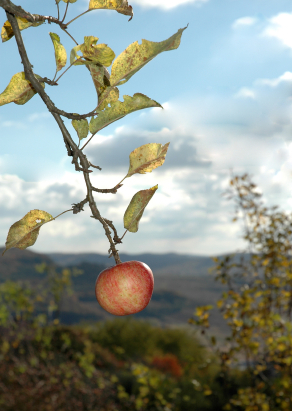 Whilst low-hanging fruit might be an attractive short-term option, it cannot be seen as the sole strategy for growth. The profits from these low-hanging fruits may be the jump you or your business needs to invest in better resources and go for the bigger deals. Then, you can come back to the tree and start harvesting those bigger apples, dangling just out of reach.